Electricity can be used to heat your home. Either by feeding the electricity directly into your electric underfloor heating system or by heating your water tank via a heating rod. You need a lot of energy to heat your pool, as your pool loses a lot of energy during the night. This can best be prevented by using a "pool cover". However, it is possible to extend the bathing pleasure with the energy of the sun at a reasonable price. In the Algarve it is possible all year round to warm up your pool with the help of the sun to a maximum of 28°C. 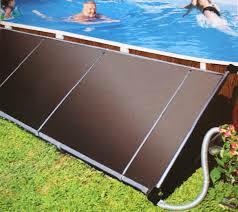 During the day you can heat your pool with the help of solar absorbers. 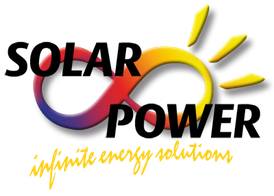 This technology does not use any additional energy such as "heat pumps". The black absorber is connected to your pool filter pump via a bypass and the water heats up before it gets back into the pool. In southern countries like Portugal you need about 50% of your pool area. So if your pool has 10 x 5 m (50 sqm), you would need 25 sqm of solar absorbers. EPDM absorbers are the cheapest alternative to heat your pool with the energy of the sun.